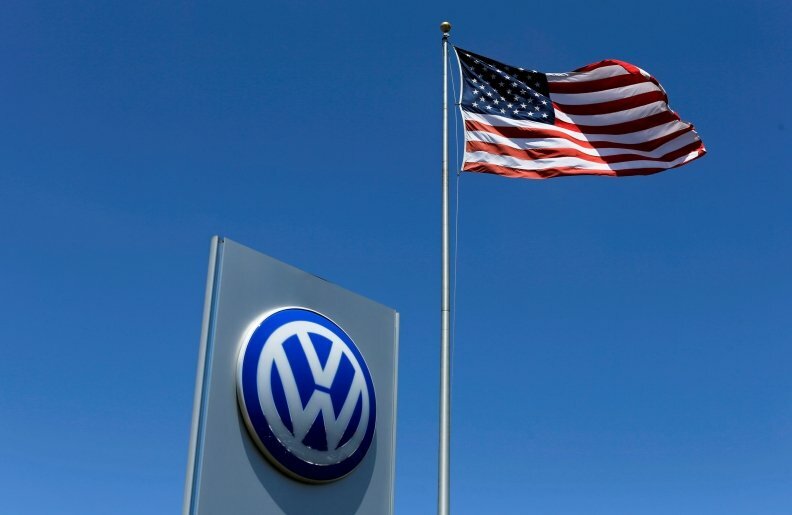 WASHINGTON -- Volkswagen Group said on Wednesday it resumed selling diesel cars in the U.S. last month, and that they accounted for nearly 12 percent of its April sales, a sign consumer demand for such cars had not been dampened by its emissions scandal. The world's largest automaker by sales was barred by U.S. authorities in September 2015 from selling about 11,000 new 2015 diesel Golf, Beetle and Passat cars after the automaker admitted to using secret software to exceed emission limits for six years. VW reached a $4.3 billion settlement with the U.S. Justice Department in January, agreed to spend up to $25 billion to address claims from U.S. owners, environmental regulators, states and dealers, and offered to buy back about 500,000 polluting U.S. vehicles. In April, a judge in Detroit sentenced VW to three years' probation and independent oversight in a plea agreement. Volkswagen resumed sales of the new 2015 diesel vehicles in mid-April, spokeswoman Jeannine Ginivan said on Wednesday, after the automaker won approval for a fix earlier this year. Ginivan said that VW sold 3,196 diesel cars in the U.S. in April. Overall VW brand U.S. sales rose 1.6 percent last month to 27,557, while industrywide U.S. sales fell 4.7 percent in April. Before the scandal, diesels accounted for about 25 percent of VW brand U.S. sales. In January, the U.S. Environmental Protection Agency and California Air Resources Board approved a fix for 67,000 of the 475,000 2015 VW 2.0-liter diesel models known as "Generation Three." EPA and California are expected to approve additional diesel fixes in the coming weeks, three people briefed on the matter said. They requested anonymity because the approval has not been finalized. VW said in April it bought back nearly 238,000 and repaired 6,200 of the vehicles. VW has not yet begun to resell the repurchased cars. Last month, VW of America CEO Hinrich Woebcken reiterated at a meeting with reporters that the automaker had no plans to introduce new diesel models in the U.S. and would instead focus on offering more electric vehicles and new SUVs. The EPA and California have been scrutinizing other automakers' diesel models after the VW scandal. Last week, regulators granted Daimler approval to begin selling 2017 diesel Sprinter vans after extensive testing and talks, a company spokesman confirmed on Tuesday. Daimler has not yet won approval to sell other 2017 model Mercedes-Benz diesel vehicles in the U.S.
Last week, Daimler said a U.S. investigation into diesel emissions and auxiliary emission control devices could lead to penalties and vehicle recalls. The U.S. Justice Department, EPA and Stuttgart prosecutor in Germany are investigating Mercedes's diesel emissions.